An extensive 25 year background in Corporate Sales and Marketing has equipped Greg with a solid platform for understanding both the sales process and the best way to produce outstanding results. This, coupled with Greg's affinity with people from all walks of life, and a genuine desire to achieve has seen him consistently successful in whatever career he has chosen. Greg began in Real Estate in 2002, working alongside his wife, Sue, to become an integral part of a very successful sales team. 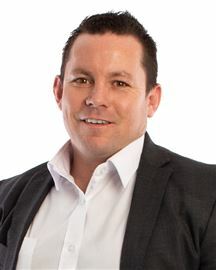 Greg's interest and passion for Real Estate has increased steadily, and not being one to sit on his hands, he completed Real Estate Business Studies with Massey University, gaining his accreditation of the AREINZ and has gone on to become one of Four Seasons business owners. His knowledge and expertise are shared with sales people throughout Harcourts Four Seasons eight offices. Andy has spent the whole of his working life in the rural sector. He is now applying his enthusiasm and energy to expanding the rural division and sales with Harcourts. 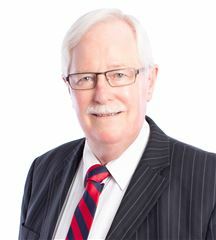 Following the completion of an Agricultural Commerce degree at Lincoln University, he attained the status of registered valuer and registered primary industry consultant, and operated for a 15 year period in private valuation and consulting practice, on a very diversified range of land based, rural business activities. This included planning and managing two lifestyle subdivisions. His “hands on” experience includes management of a sheep and beef farming venture, and the establishment and operation of a deer enterprise. This was followed by the setting up and full time management of two wine brands - from vineyard establishment, to wine production, brand creation, marketing and sales. In New Zealand and overseas. This wine industry knowledge and experience has resulted in a significant involvement in vineyard and winery listings and sales throughout New Zealand. Wide ranging experience and understanding of the rural scene in general, and range of land use, enables Andy to bring a complete approach to the property field. This is a big plus to those looking to sell or buy property. Andy’s approachable manner, the thorough, professional and personalised service both he and Harcourts are renowned for, fit well with his determination to work closely with clients to achieve their goals. Compassionate, highly organised and possessing a wealth of experience, Anne Davis is passionate about Real Estate. Her successful career began in 1999 and has resulted in a huge amount of respect from hundreds of regular clients. Having achieved Top Salesperson many times, Anne sees herself as a consultant, eager to listen, share knowledge and work tirelessly to achieve the goals of her clients with a simple and honest approach to what can be a difficult job. Anne believes the key to her success is actively listening to her client’s needs and willing to go beyond the call of duty. Anne has a great attitude, takes pride in her work, and offers her clients first class service, one you will thoroughly enjoy. Dedicated to achieving the best possible outcome for every one of her clients Anne Davis is an exceptional choice if you are considering selling your home. Your biggest asset deserves her experience. Work with her and experience the difference. After a long and successful career in farming, Bill ventured in Engineering and then Rural Lifestyle Consultancy before finding his calling into Real Estate. 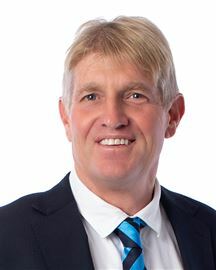 With a passion for the North Canterbury region, Bill has developed a strong real estate business in both residential and rural lifestyle sectors, establishing his business through his hard working lessons of life. For clients that have experienced Bill’s dedicated approach, the attention to detail, honesty and willingness to achieve his client’s goals has allowed Bill to build a loyal base of happy customers and succeed in his real estate career. With a rural upbringing, it is only the size of Bill’s property that has changed over the years with him now residing in Broomfield with his wife Catherine on 5 ha of lifestyle bliss. Keeping his rural interests quenched and in touch with his rural roots, Bill is Deputy Chairman of the Canterbury Region LandSAR, Chairman of the New Zealand Wool Classers Association and Rural Fire Force volunteer member (giving back plenty). 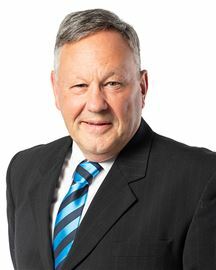 Having worked in residential sales throughout North Canterbury, rural and lifestyle properties, forestry and high country enterprises, and with personal subdivision experience, Bill brings a wealth of practical experience to his business. 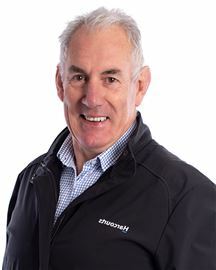 Previously a builder, with 25 years experience in real estate in Christchurch and Palmerston North, Bill holds a New Zealand Certificate in Building, a Diploma in Business Studies from Massey and is an AREINZ. Bill is married with five children. Personal interests include children’s sporting activities, namely rugby and netball. Bill enjoys playing tennis, golf and fishing Real Estate Philosophy : Identifying the requirements of clients providing the best possible service and achieving the best prices (knowledge achieves value). As a family man, Bill will take care of the extra details during the emotional time of selling a home and is the top salesperson for Harcourts Shirley. Satisfaction of helping vendors attain the best possible result. A commitment to Christchurch residents and their real estate needs. 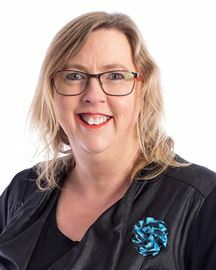 Christine Prebble has been working, selling real estate, for Harcourts Twiss-Keir for the past eight years, spending a lot of that time successfully selling property in her local specialised area of Brooklands and Spencerville; an area where she lives, and has a great passion for. 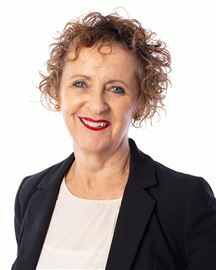 After spending many years working for Ansett and Qantas New Zealand, the transition to real estate was an easy one, it is all about what Christine is best at, building close relationships with clients, sharing, caring and achieving results. This is proven by the many accolades that Christine has achieved throughout her career with Harcourts. If you are considering selling your property, or perhaps looking to buy, wether it be in Christines' local Styx area or further afield, she would love to hear from you. 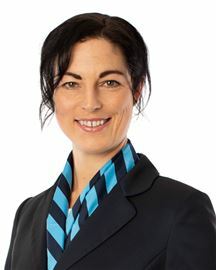 Gemma forms part of the highly successful Sue Roberts sales team at the Harcourts Twiss-Keir Belfast office. Since joining Sue in April 2006, Gemma has developed her skills to become one of our up and coming new sales professionals. Having a thorough understanding of client needs, Gemma has excelled in her chosen profession. Having completed a Diploma in Interior Design her understanding of the many aspects of residential & commercial real estate has helped many clients achieve the very best of results either buying or selling. Gemma is a committed and honest consultant that has very quickly developed the skills that are needed today in this very competitive industry. As a new member to the team at Harcourts Four Seasons, Geoffrey brings a positive and hungry approach to his clients with an emphasis on creating lifelong relationships. When you first meet Geoffrey, it won’t take long to notice his down-to-earth nature. Growing up in family surrounded by real estate, Harcourts in particular, Geoffrey has developed a genuine passion for property. Geoffrey’s attitude towards this industry reflects positively amongst his dealings. Coming from a background in construction he can relate to all sides when navigating a sale. He holds customer service very highly and believes it is the key to a strong career. Give Geoffrey a call today if you wish to get an insight into the current market in Christchurch. When you first meet Glen, it doesn’t take long to build a warm and trusting impression of him. Glen’s sincere and engaging personality, coupled with his infectious positivity, makes him a breath of fresh air to work alongside. With a genuine desire to help and an innate ability to understand, empathise and connect with a wide variety of people; clients take confidence in the fact that the sale of their property is in the hands of someone who is compassionate, reliable and committed. 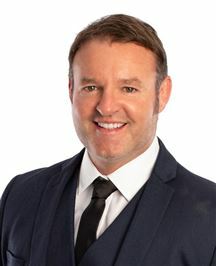 As a born and bred loyal Cantabrian with over 25 years of sales and marketing experience, including 5 years in the real estate industry, Glen is an exciting acquisition for the team at Harcourts Four Seasons; bringing with him a fresh perspective and a result-driven approach to sales success. An avid outdoorsman with a passion for surfing, fishing, rugby and his rural lifestyle block, Glen is a family man and a doting Dad. With a vested interest in his local community, he thoroughly enjoys his role as a volunteer firefighter with the Sefton Rural Fire Service. Glen’s clients speak highly of his ability to untangle the paperwork and mediate between buyer, vendor, and all parties with transparency and ease. His particular forté is skillful negotiation. He listens carefully, advises responsibly and communicates points of view, acting with absolute integrity throughout the sales process. A stance which has won the trust and respect of many satisfied clients. Glen is, foremost, a professional but you will remember him for being a reliable, honest, enthusiastic and straight-up operator. He is a passionate salesperson who immediately wins trust and builds rapport and, as such, creates long-term relationships with his clients. Give Glen a call today – he’s here to help. With an amazing outgoing manner, combined with a strong determination to complete a sale, makes Linda Veitch a top-notch property consultant. Clients soon find she works hard and goes the extra mile to deliver the best result. Her 100 million in sales are also evidence of her commitment. She brings to the job skills developed in both the health and manufacturing sectors. She has owned her own business so understands the realities of the marketplace, as well as the importance of relating well to people. Linda knows that selling or purchasing a home can be an emotional or stressful time in a person’s life, reinforcing the need for good communication. She can be relied on to smooth out the ups and downs of a process that doesn’t always run to plan. She tackles every assignment with a huge amount of energy and this attitude has brought her a lot of repeat business from satisfied clients. In her spare time she enjoys cycling and the gym or she likes to relax with a good book. If you are looking for a fresh and innovative approach to marketing or finding your next dream property then Rhiannon Moss is the Sales Consultant for you. Living on a lifestyle property in North Canterbury, Rhiannon and her husband both enjoy their horses and on a sunny day can be found riding along the beach or through the forest. Rhiannon is also very competitive on the Dressage circuit, and has had success both locally and around New Zealand. Rhiannon’s previous role as a Real Estate Photographer led to a passion for making property look and present beautifully and has now evolved into becoming a full-time sales consultant. With experience in sales and customer service, Rhiannon brings enthusiasm, professionalism and integrity, along with creative problem solving to your next step on the property ladder. Richard and Sue Woerlee are highly regarded as one of the leading sales teams in North Canterbury. They offer top class service and constantly achieve a premium selling price for their vendors. Offering the best of marketing skills, knowledge of the North Canterbury area and being highly trained professionals, this team takes pride in being recognised for providing prompt, accurate and valued advice to anyone wanting to purchase and sell Lifestyle or Residential property. Sue and Richard perform their work with enthusiasm and their passion for Real Estate shows in the many repeat clients they work with. They are assisted by Louise Ives who is their administration manager. Richard and Sue moved to Canterbury in 2006 from Arrowtown where they had established the award winning Harcourts office. This experienced team provide proven excellence in service and results and were ranked in the Top 5% of salespeople nationally with Bayleys from 2012 - 2017. Sue’s previous experience as Director of Sales and Marketing for Millbrook Resort has been invaluable in Real Estate. Richard’s wonderful manner with people along with this team’s hard work and commitment to achieve results ensures you will be in the very best possible hands. Robbie has had extensive experience in business as an executive manager, business owner, business consultant and, for many years, an REINZ Accredited Business Broker. 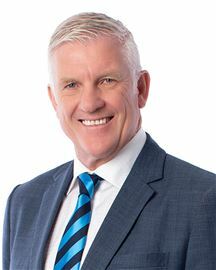 He is well respected in business circles and is a Past President of the Christchurch Business Club and is a member of the business broker’s advisory panel to the REAA. 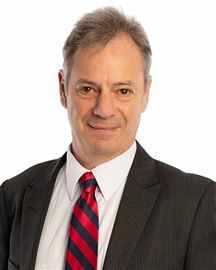 Robbie was awarded an Associate Fellowship of the New Zealand Institute of Management in 1985 and admitted as a Member of the Institute of Directors in 2001. His business knowledge, experience and professionalism, combined with his determination to produce win-win outcomes for both buyers and sellers has helped him to become recognised as one of the most successful business brokers in the NAI Harcourts Group. Robbie’s level of professionalism, combined with the infrastructure support of the NAI Harcourts, Twiss-Keir Realty team, can assure clients of excellence service regardless of the size of the transaction. 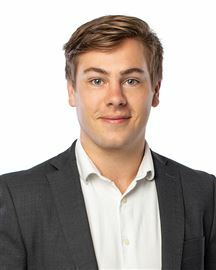 Enthusiastic, energized and ready for a new challenge Sam is the sales consultant at the Harcourts Twiss-Keir team that gets the job done. Having been in the construction industry for the past 15 years, Sam is passionate about turning houses into homes, and knowing houses, will endeavour to assist in all ways possible. Sam believes “listening to his clients is key, as the client is number one and this is the only way to understand what their needs are to achieve our goal.” The experience of buying or selling your home can be a difficult one and sometimes stressful, but with Sam, the attitude, pride and service he provides his clients, it will be an experience you can thoroughly enjoy. With a friendly demeanour and an open approach Sam takes pride in always doing the best job for all his clients. He will always give 100% effort in getting the right result for anyone he works with, so is an excellent choice when selling your home. 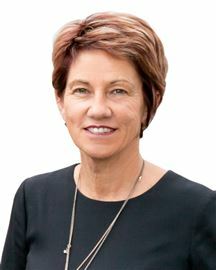 Sue Roberts has been working in real estate for 20 plus years, and during this time has become a specialist throughout the North Canterbury region. 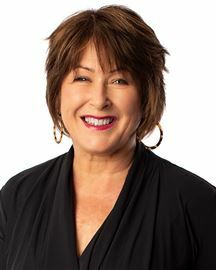 Sue’s undoubted real estate skill, warm personality and genuine desire to achieve great results for her clients have seen her achieve many real estate awards. The highlight of Sue's career so far was in 2011/2012 she was No 2 International for Harcourts. 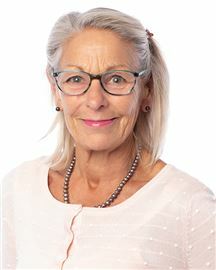 Not only Sue the top rural / lifestyle sales consultant in Canterbury, but she is also Twiss-Keir’s top overall sales consultant - an accolade she has held for an impressive 13 years running! Sue's real estate team includes her daughter Gemma Roberts, successful in her own right having achieved Top 10 Canterbury and numerous National awards since 2012 throughout her 10 plus years as a sales consultant. Between them they ensure nothing but the highest level of service for both buyers and sellers alike. "If you are considering selling your property, we would love to assist! We work with you and for you to obtain the very best price for your property in the current market." 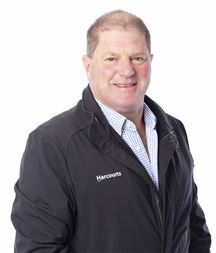 Tim began his Real Estate career with Harcourts Twiss-Keir Hanmer Springs in 2003. He continually exceeded expectations by achieving top results for his clients, and is considered a professional and talented negotiator with a passion for working with people. 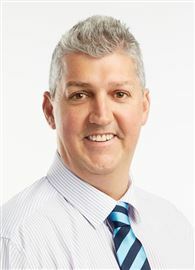 His experience within the automotive and counselling industries along with being a business owner has allowed him to develop excellent communication and people skills, which has earnt Tim a successful reputation with the Real Estate Industry. If you are looking for someone you can trust with Drive, Passion, Commitment and Integrity, to handle your Real Estate appraisal, Sale or Purchase then Tim should definitely be worth serious consideration. Jill has been in Professional Management in both Property Management and Hospitality over her career. With a hunger for knowledge and development, Jill has a comprehensive and realistic view of the rental market. She is an Accredited Senior Property Manager and has the NZQA Residential Property Management Certificate - Level 4. She has a natural ability to build relationships with both her tenants and owners, creating a harmonious working partnership. It is this rapport that enables Jill to achieve a nil rent arrears portfolio. 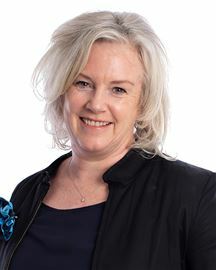 Her negotiation skills and calm demeanour enables Jill to settle any tenancy disputes outside of tribunal, ensuring the best outcome for both parties. Jill is committed to ensuring that her tenants are matched to a home, therefore ensuring her Owners get the best long term return for their investment. She is dedicated to her portfolio and an absolute asset to owners. 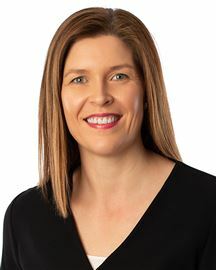 “Going the extra mile for my clients is my philosophy.” Prior to entering the real estate industry in 2000, Nicki’s career covered a wide range of industries from banking, to telecommunication to construction. All however, have the same requirements of superior relationship building and communication. As a property investor herself she sees her next step into Property Management to be a logical one. Believing in the importance of effective communication, maintaining professionalism with both owners and tenants and having an awareness of the changing market, Nicki ensures clients’ individual needs are met. “I love dealing with people, and I find it so rewarding working with landlords and finding great tenants to live in their properties. I’m passionate about achieving the best results for every single landlord and tenant I work with.” Now working with the Four Seasons Realty 2017 Ltd Property Management team gives her access to the latest technology and resources. Call Nicki today to find out how she can help you work smarter not harder to manage your rental investments. See It, Love It, Buy It!! The Smart Buy! Price Reduced! Must Be SOLD - No Plan B! As is, Where is - Dallington! Great Location - Easy Living! New Year - New Home! Classic Rose "As is Where Is"
Great Location - Must Be Sold!